Your medals are the results of commitment and sacrifice. The right place for them is not a drawer, but right in front of your eyes, and they show what you are capable of when you do your best. 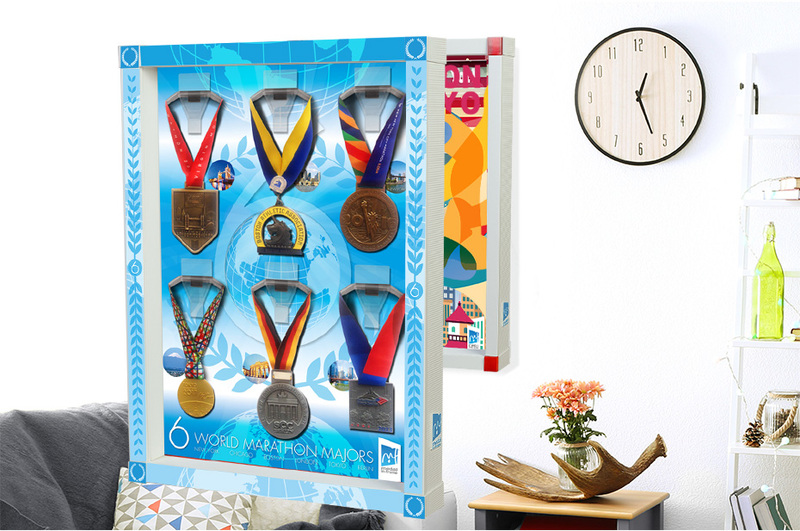 medal in frame® is the company that designed and made the first fully customisable medal display frames in different materials but all from recycled paper, metal or plastic. 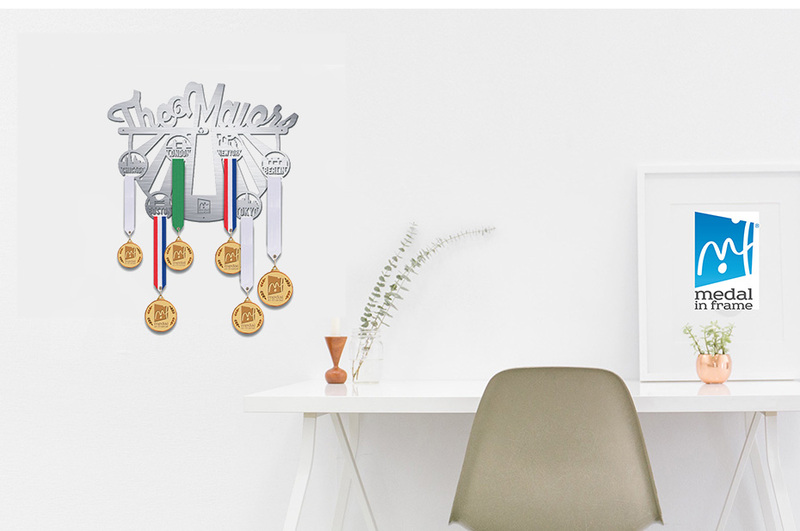 The idea is simple: to create a wide collection of products that allows athletes and sports enthusiasts alike to create their own medal display, using the online configurator, for showing off medals, photographs and race bibs, or simply buy a frame and hang medals or medals and bibs. Sports mementos are the fruit of hard work, effort and passion, and medal in frame® is the ideal way to display them and give them the place of honour they deserve. medal in frame® is the fully customisable medal display, made of top-quality recyclable materials. Find your Classic Frame or configurate it. medal metal™ is a medal display obtained from a metal sheet in aluminium alloy, 100% recyclable and reusable, suitable for any interior design.